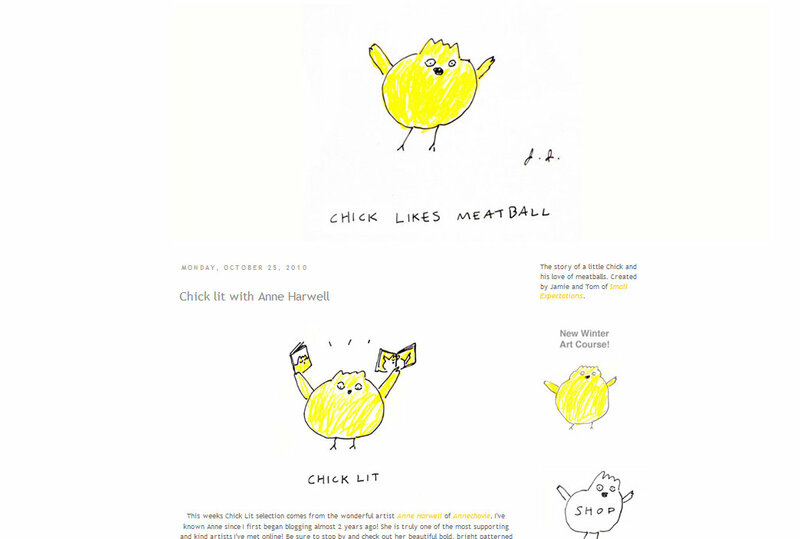 My artist/blogger friend, the talented Jamie Shelman and her fashion illustrator husband, Tom Meyer, have kindly featured my favorite children's book in their series "Chick Lit". 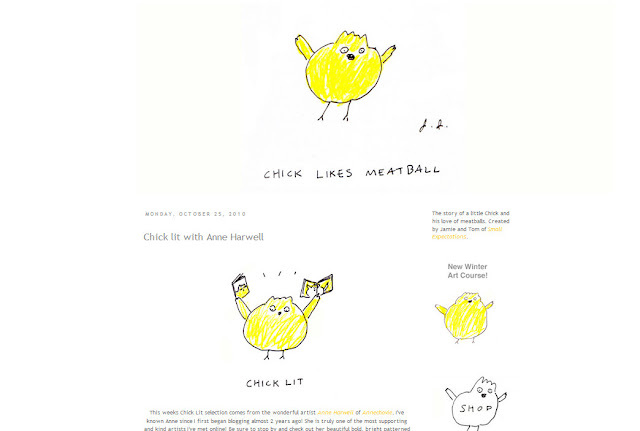 It's on a new project blog they have started called "Chick Likes Meatball" that incorporates both their great sense of humor and Jamie's witty illustrations. Thanks Jamie and Tom! Hope that everybody has an enjoyable weekend! Here's a rare opportunity to aquire some amazing artwork at a substantial discount from my friend and distinguished colleague, Harrison Howard. 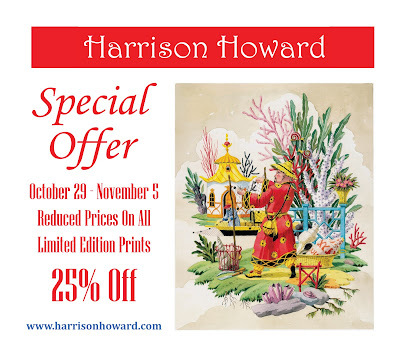 Harrison's colorful, fanciful and amazingly detailed artwork is found in the homes of some of America's most distinguished families. 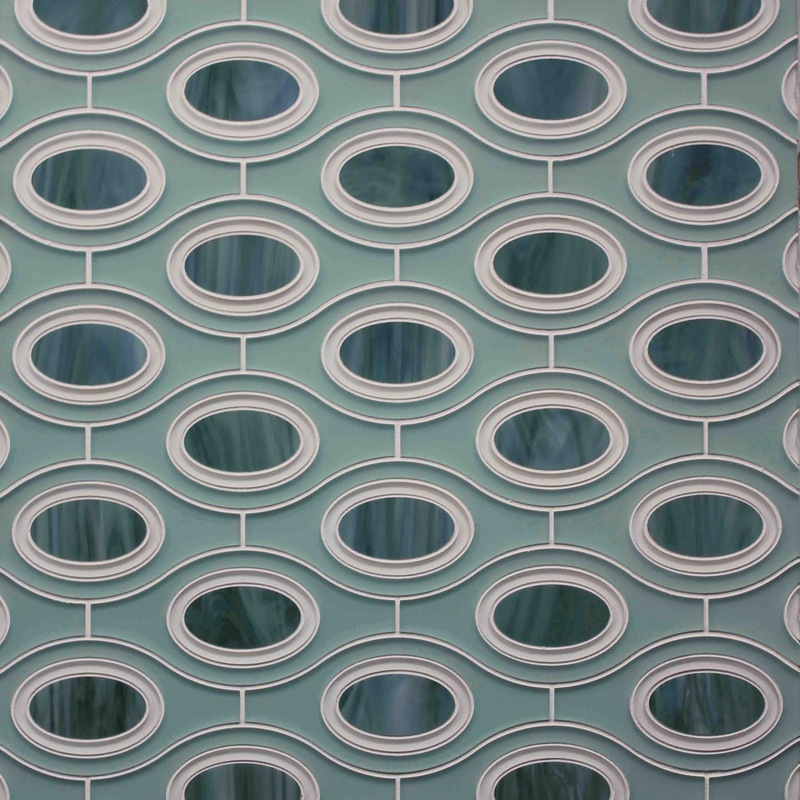 He's offering 25% off his limited edition prints for a whole week! Happy Monday! I don't know about you, but we had a glorious Fall weekend here with beautiful blue skies and perfect temperatures. I hope your week is off to a good start. 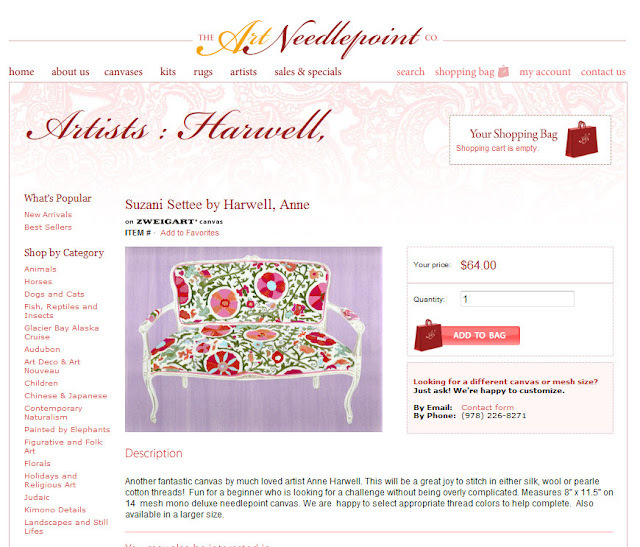 For the needlework enthusiast or those looking ahead for holiday gifts﻿, here is my "Suzani Settee" available as a needlepoint canvas now from Art Needlepoint. 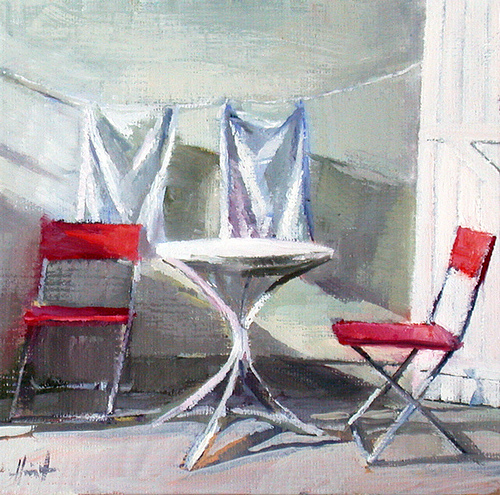 The original painting is also still for sale here. On the Patio by Liza Hirst, my VERY talented artist friend based in France. 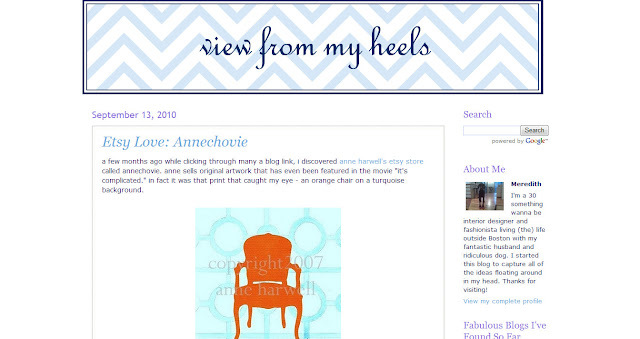 Check out her latest here. Perspectives on Design California is a great new coffee table book by Panache Partners featuring the work of some of California's most talented creative professionals. 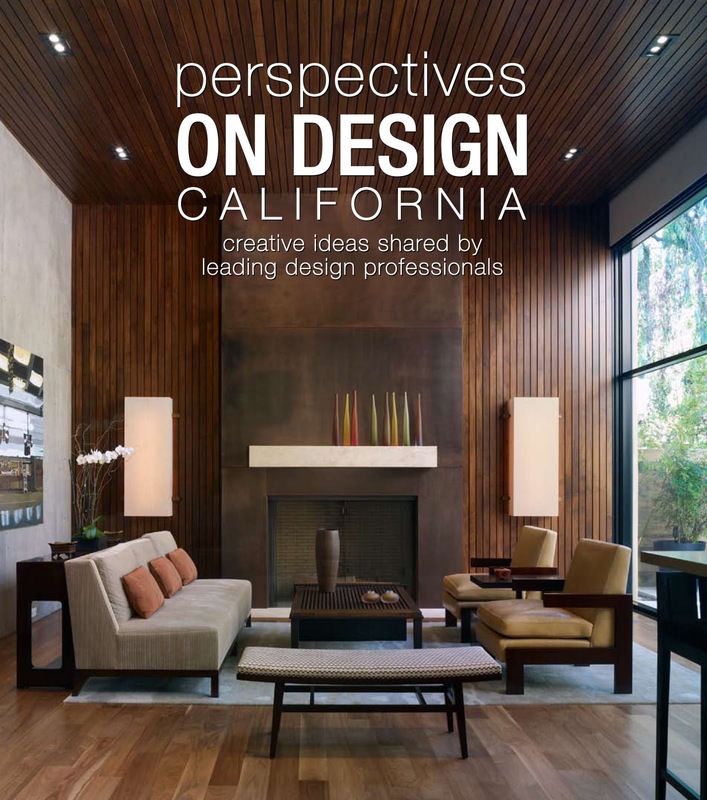 The 272-page book features the stylistically diverse work and fascinating philosophies of architects, homebuilders, stone experts, blacksmiths, woodworkers, interior designers, textile professionals, audio-visual consultants, landscape architects, pool specialists, and more. 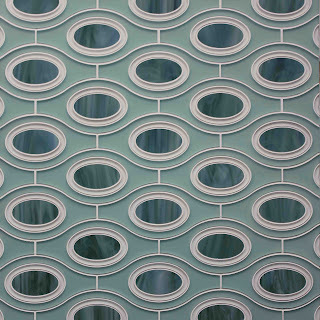 This book would make a terrific gift for the design enthusiast and West Coast fan- I thoroughly enjoyed leafing through it and am sure you'd love it, too! Find it at your local bookstore or order here. 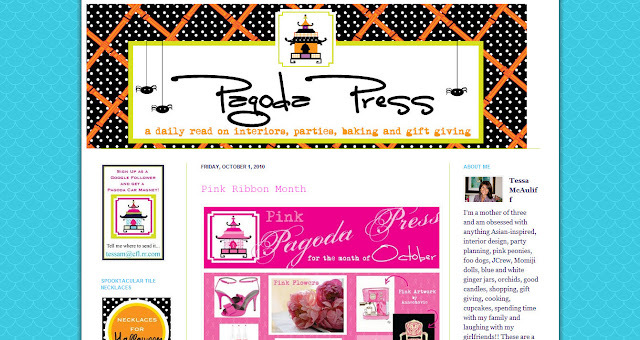 You have to check out a brand-new online magazine called ADORE. I am loving all of the great Australian design that is out there....and this magazine captures the colorful, youthful style of some of my Aussie blogging friends, as well as some very talented American designers. 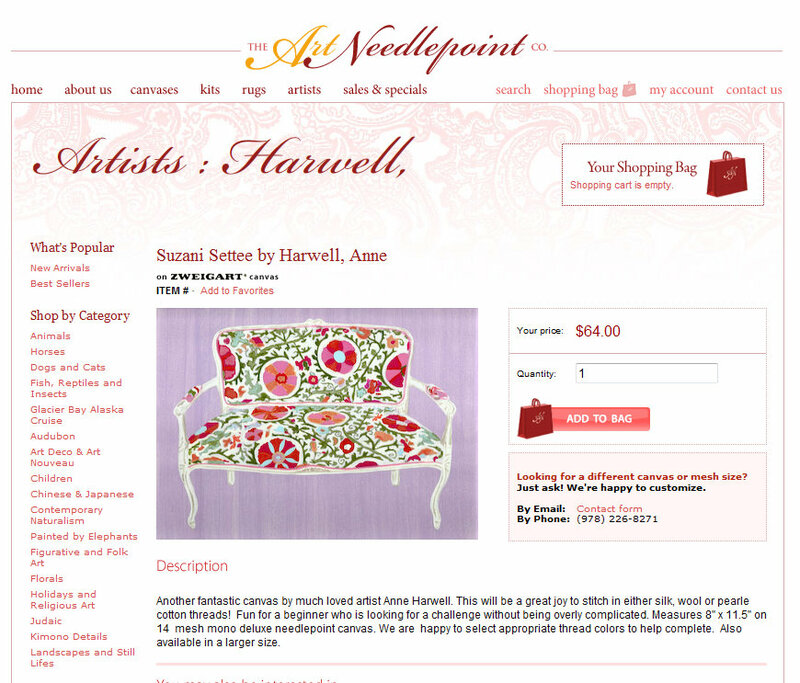 It's amazing to me how the internet has made distance a completely null barrier, especially in the world of design and decor. About 50% of my readers and clients are Australians now and I think it's beyond amazing how we all feed off of each other and with no real time delays anymore - pretty cool! Another week and a brand new print! Beautiful, humidity-free weather has arrived here in South Florida and I am reminded why the price of some pretty hot weather in the Summer here is so worth it to have a phenomenally perfect Fall/Winter/Spring season. I hope you had a great weekend! 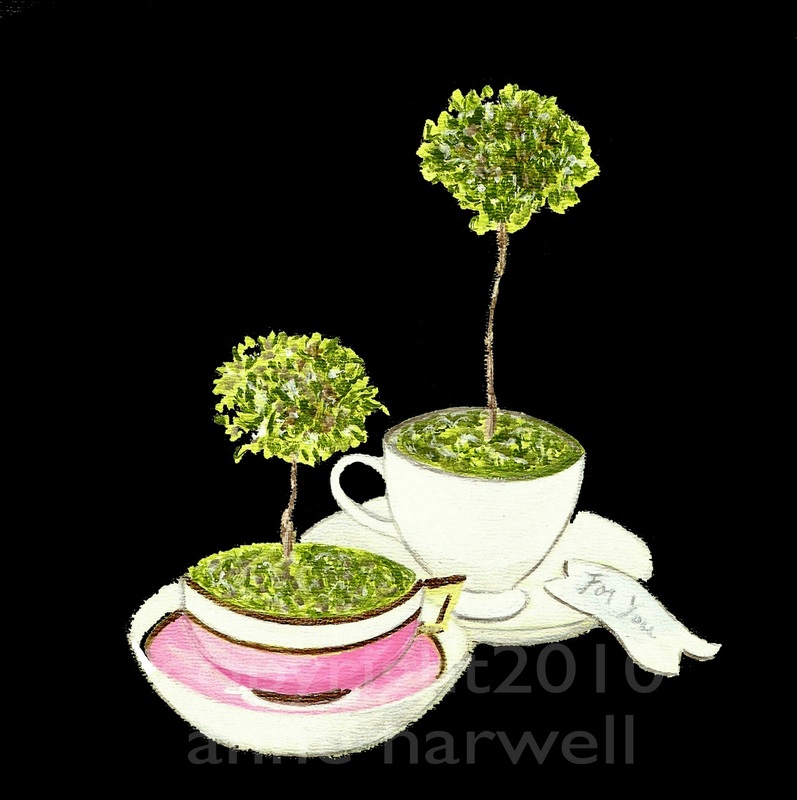 This print, as well as the original painting, are available in my etsy shop here. 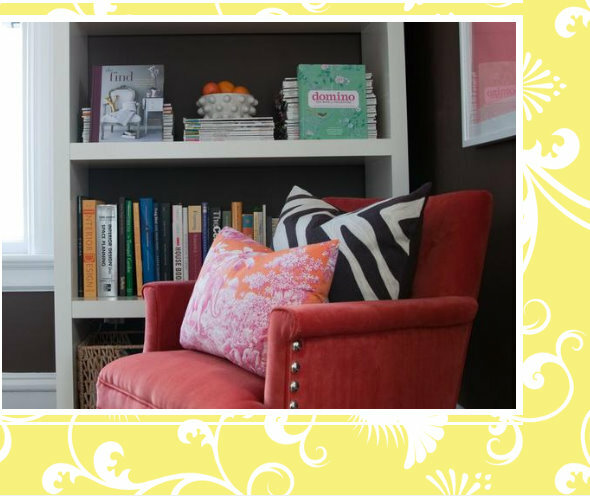 Talk about breaking away from boring and creating something fun! 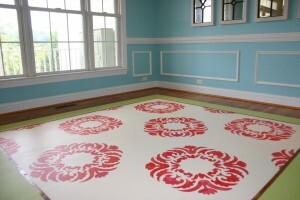 These floors were painted using my friend Sunny Goode's stencils. I am inspired by the great colors and patterns. 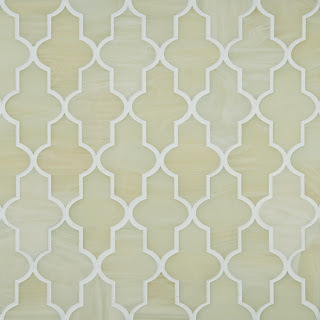 Check out Sunny's entire line on her website here. 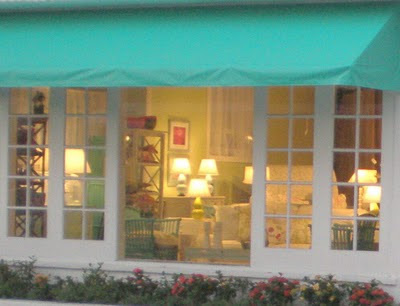 Summer is over and the Caroline Street Art & Design District In Key West, Florida is having First Thursday again. 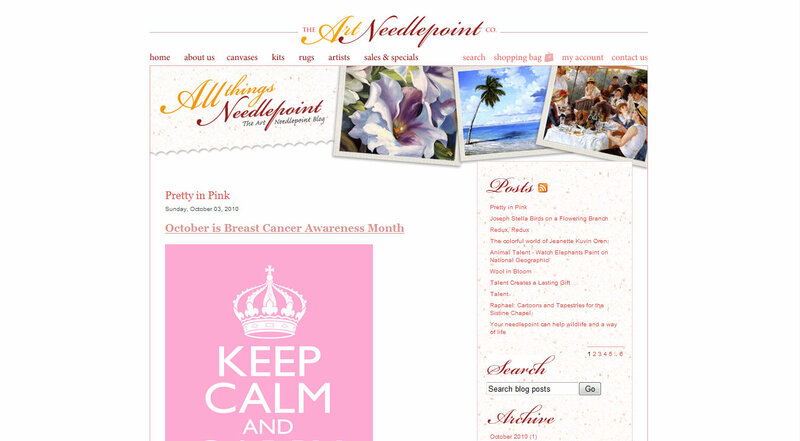 Thanks to these great blogs for featuring my work recently, especially my "PINK" pieces in honor of Breast Cancer Awareness. 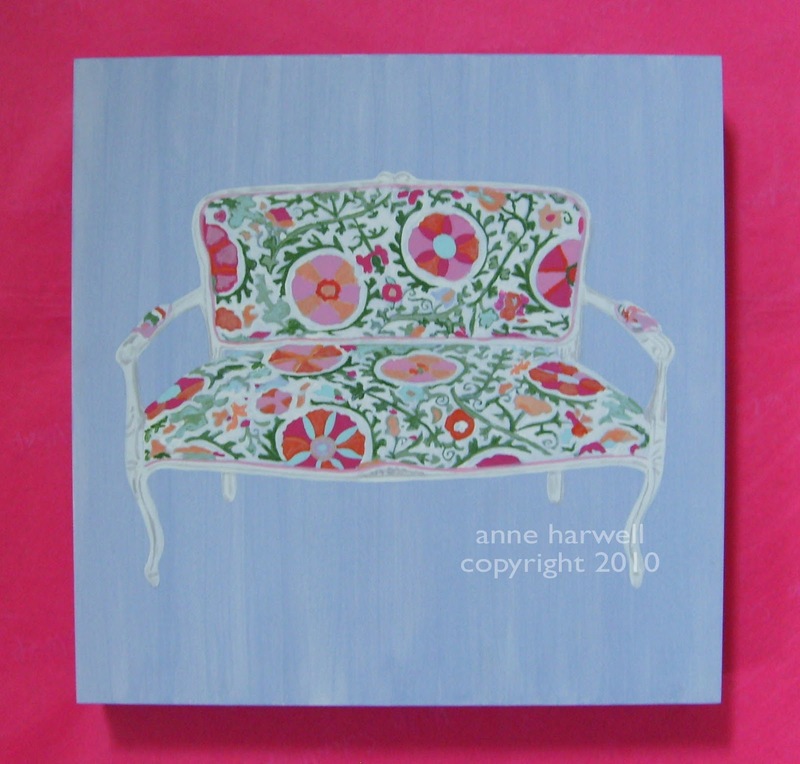 I just completed this 12x12 original painting of a French settee covered in a suzani-patterned fabric. The background is a strie effect in blue. It's for sale in my shop here. Subway, schmubway. 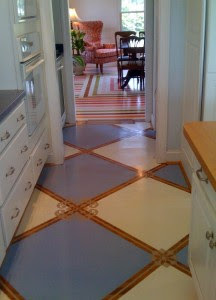 Forget about generic tile choices and check out these innovative and majorly chic options from Edgewater Studios. 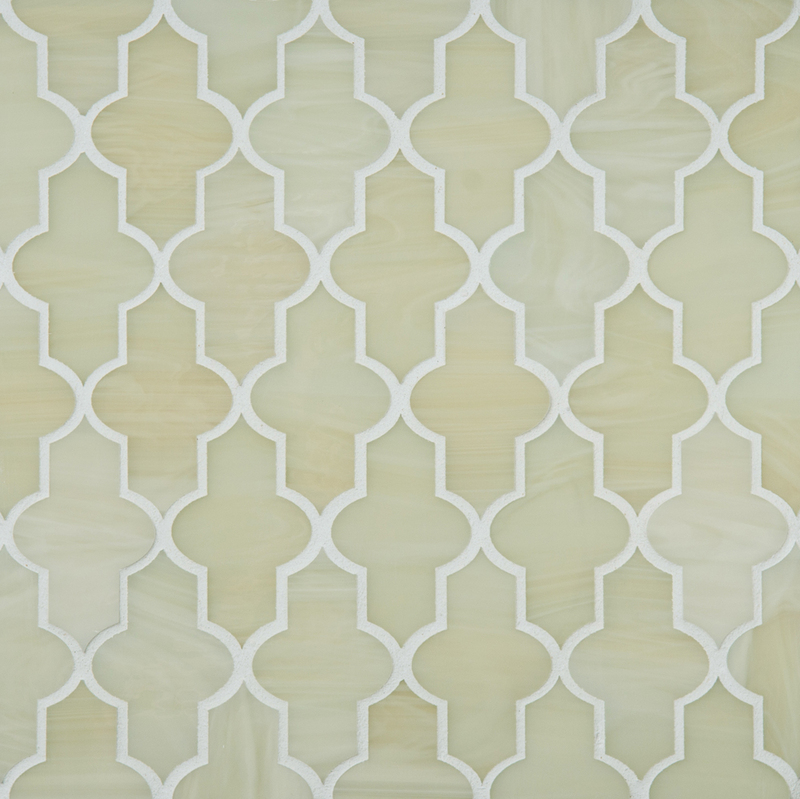 These are glass tiles that steal the show. I am especially loving the Madeira (top) and Bathos as part of the Art Glass Collections, but I think you should decide for yourself which is most attractive. Check them all out here. I am headed out of town, but will see you back here on Monday! Have a terrific October weekend!